The house has five bedrooms. Two of these are single bedrooms. 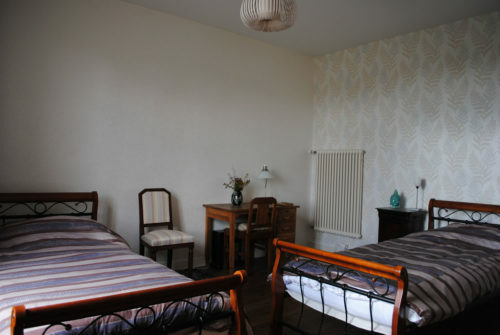 There are three double bedrooms (one with a double bed, two with twin beds). Two of the double rooms have their own bathroom. 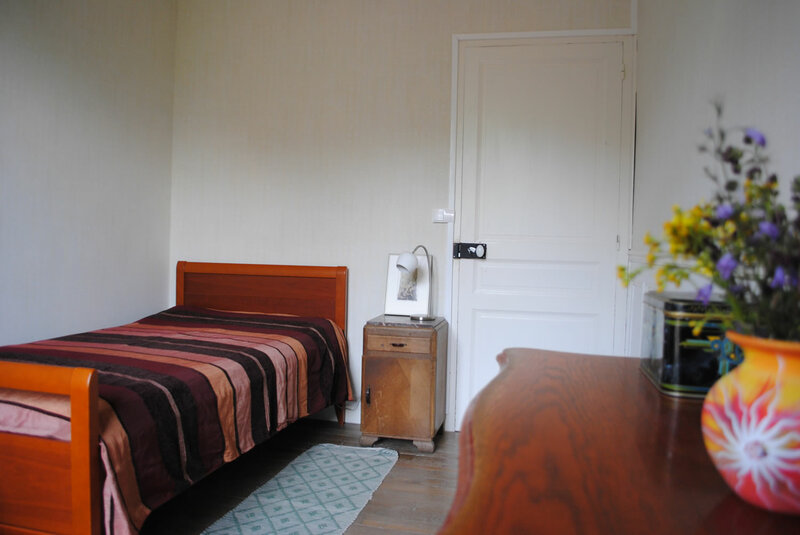 The single rooms share, together with the third double room, a spacious bathroom with two showers and two sinks. 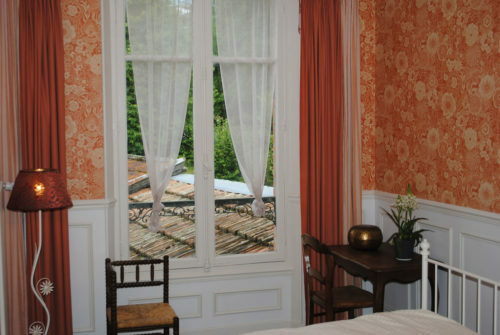 In some cases, it is possible to book the double rooms for single occupancy. Please contact us for the prices of the rooms. Bed linen and towels are always included. A quiet double room with a double bed. View of the garden. A single room with a comfortable extra-wide single bed. View of the garden. A spacious double room with two comfortable beds. Spacious double room with a double bed and garden view. It has a private bathroom with a double sink, shower and toilet. Spacious double room with two comfortable beds. It has a private bathroom with sink and shower.